The king is the most important piece, but is one of the weakest. The king can only move one square in any direction - up, down, to the sides, and diagonally. Click on the '>' button in the diagram below to see how the king can move around the board. The king may never move himself into check (where he could be captured). The queen is the most powerful piece. She can move in any one straight direction - forward, backward, sideways, or diagonally - as far as possible as long as she does not move through any of her own pieces. And, like with all pieces, if the queen captures an opponent's piece her move is over. Click through the diagram below to see how the queens move. Notice how the white queen captures the black queen and then the black king is forced to move. The bishop may move as far as it wants, but only diagonally. Each bishop starts on one color (light or dark) and must always stay on that color. Bishops work well together because they cover up each other&#8217;s weaknesses. Knights move in a very different way from the other pieces; going two squares in one direction, and then one more move at a 90 degree angle. Knights are also the only pieces that can move over other pieces. The last rule about pawns is called en passant, which is French for in passing. If a pawn moves out two squares on its first move, and by doing so lands to the side of an opponent's pawn (effectively jumping past the other pawn's ability to capture it), that other pawn has the option of capturing the first pawn as it passes by. This special move must be done immediately after the first pawn has moved past, otherwise the option to capture it is no longer available. it must be that king's very first move. it must be that rook's very first move and there cannot be any pieces between the king and rook to move, the king may not be in check or pass through check. Notice that when you castle one direction the king is closer to the side of the board. That is called castling kingside. Castling to the other side, through where the queen sat, is called castling queenside. Regardless of which side, the king always moves only two squares when castling. As stated before, the purpose of the game is to checkmate the opponent's king. This happens when the king is put into check and cannot get out of check. There are only three ways a king can get out of check: move out of the way (though he cannot castle! ), block the check with another piece, or capture the piece threatening the king. If a king cannot escape checkmate then the game is over. Customarily the king is not captured or removed from the board, the game is simply declared over. The position reaches a stalemate where it is one player's turn to move, but his king is NOT in check and yet he does not have another legal move. The players may simply agree to a draw and stop playing. There are not enough pieces on the board to force a checkmate (example: a king and a bishop vs.a king) A player declares a draw if the same exact position is repeated three times (though not necessarily three times in a row). Fifty consecutive moves have been played where neither player has moved a pawn or captured a piece. Chess960 (also called Fischer Random) is a chess variant that follows all of the normal rules of chess, but where the "opening theory" does not play a large role in the game. The starting position of the pieces is randomly chosen by following only 2 rules: the bishops must be on opposite colors, and there must be one rook on each side of the king. The black and white pieces are in a mirrored position. There are exactly 960 possible starting scenarios that follow these rules (thus the name "960"). The only odd rule is with castling: the rules are mostly the same (king and rook cannot have moved and cannot castle through check or in check), with the additional rule that the squares between where the king and castled rook will end up must be vacant from all pieces except the king and rook. For more info and examples, click here. Many tournaments follow a set of common, similar rules. These rules do not necessarily apply to play at home or online. If a player touches one of their own pieces they must move that piece as long as it is a legal move. If a player touches an opponent's piece, they must capture that piece. A player who wishes to touch a piece only to adjust it on the board must first announce the intention, usually by saying adjust. Most tournaments use timers to regulate the time spent on each game, not on each move. Each player gets the same amount of time to use for their entire game and can decide how to spend that time. Once a player makes a move they then touch a button or hit a lever to start the opponent's clock. If a player runs out of time and the opponent calls the time, then the player who ran out of time loses the game (unless the opponent does not have enough pieces to checkmate, in which case it is a draw). At the end of the game these points don't mean anything; it is simply a system you can use to make decisions while playing, helping you know when to capture, exchange, or make other moves. Just keep playing! Play as much as possible. You should learn from each game; those you win and those you lose. If you really want to improve quickly then pick up a [recommended chess book]. There are also many resources on Chess.com to help you study and improve. Don't get discouraged if you don't win all of your games right away. Everyone loses; even world champions. 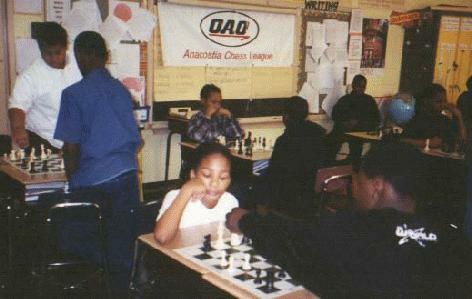 As long as you continue to have fun and learn from the games you lose then you can enjoy chess forever!